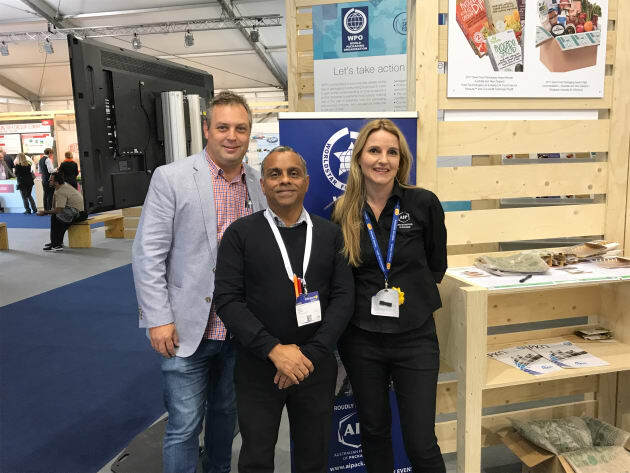 The AIP headed to Interpack 2017 on the 4 to 10 May to join 15 other countries from across the world to showcase the Save Food Packaging Award winners for Australia and New Zealand in the Save Food Org Pavilion. Winners showcased for the AIP included Fresh Technologies Ltd & Sealed Air Food Care for Fressure™ and Cryovac® Freshness Plus®, Woolpack Australia for Woolcool, DON KRC for Cryovac® Darfresh® Vacuum Skin Packaging, Botanical Food Company for Gourmet Garden Herbs & Spices, – SPC Ardmona for SPC ProVital® Easy-Open Portion Control Fruit Cup and SPC Ardmona for SPC ProVital® Easy-Open Portion Control Fruit Cup. The AIP was the first country in the world to launch the Save Food Packaging Awards. The AIP was located in the World Packaging Organisation (WPO) area within the Save Food Pavilion which was created by Messe Düsseldorf as a key attraction of Interpack 2017. The WPO, and its Members, are supporting the SAVE FOOD Initiative which is a joint initiative of the Food and Agriculture Organization of the United Nations (FAO), the United Nations Environment Programme (UNEP), Messe Düsseldorf, and Interpack; the leading global trade exhibition for packaging and processing in Europe. The goal of the SAVE FOOD Initiative is to fight global food waste and loss; through a global alliance of all stakeholders. In order to support SAVE FOOD, the World Packaging Organisation (WPO) has recently added a new ‘SAVE FOOD Packaging Award” to the renowned WorldStar Awards. The awards honour packaging solutions that distinguish themselves for reducing food losses and waste. The winners from across the globe were displayed within the WPO Save Food Org Pavilion. The 16 participating WPO country members who also showcased innovative and unique Save Food Packaging designs and Food Waste concepts were Argentina, Australia, Austria, Brazil, China, Croatia, Czech Republic, Finland, Germany, India, South Africa, Spain, The Netherlands, UK, USA. APO (African Packaging Organization) and APF (Asian Packaging Federation), that joins countries, respectively, from the sub Saharan region and from Asia, also confirmed their participation. WPO member in Lebanon will coordinate the participation of the country as well as Morocco, Egypt and Tunisia in only one group. 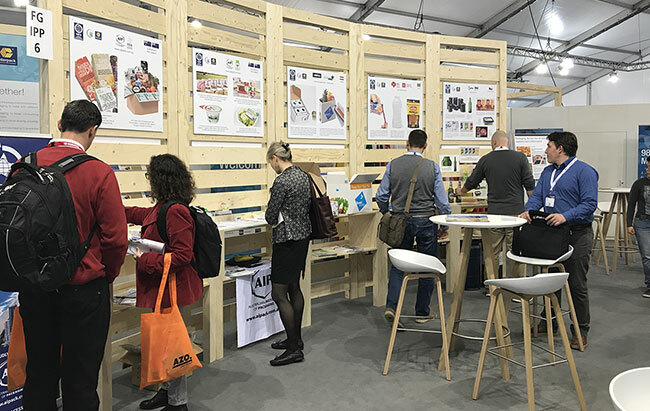 A significant number of AIP Members visited the stand and it was a tremendous opportunity to showcase Australian and New Zealand Save Food packaging design innovations on a global scale. The AIP look forward to showcasing many more of our innovations at interpack 2020.